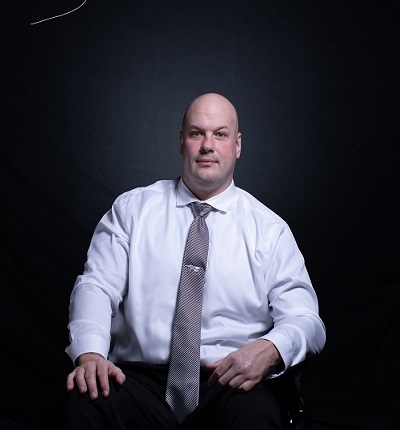 SWAT Police Officer Timothy Matson: A Police Wounded Warrior being honored by President Trump at the State of the Union. Despite the news media’s preoccupation with guessing how members of the Democratic Party will respond to President Donald Trump’s State of the Union speech on Tuesday night — since the majority of news people despise Trump as much if not more than the Democrats and establishment Republicans — the Commander in Chief plans to honor a SOTU guest sure to garner much applause: Pittsburgh Police Department SWAT Team member Timothy Matson was severely injured during the Tree of Life Synagogue massacre. Matson was one of four officers wounded during the attack. Police Officer Michael Smidga was wounded, as were a second patrol officer and second member of the SWAT team. During Trump’s encouraging and detailed speech to the nation, he also praised the work of other law enforcement officers such as the Border Patrol, Immigration and Customs Enforcement, Department of Homeland Security and others. 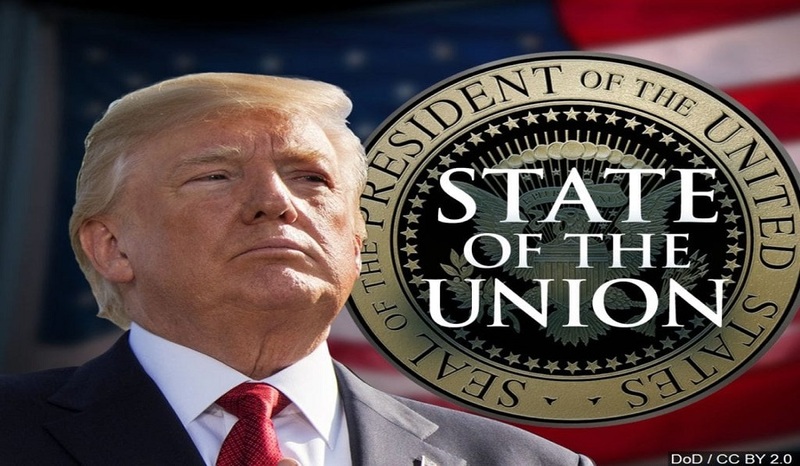 Just in time for the President’s 2019 SOTU speech, a research group and government watchdog made certain for a new study on illegal aliens and crime is available for Trump and his administration. The American Civil Rights Union (ACRU) released their report regarding the controversial Sanctuary City (and State) Movement to Protect Illegal Aliens from falling into the clutches of federal law enforcement agencies. As a policy, providing sanctuary to individuals and groups who reside in the United States illegally is an unnecessary burden on a nation and its citizens. The people are being forced to fund a bonanza of programs that are open only to “undocumented” foreigners with the closest oversight given to making certain they get the best treatment available. 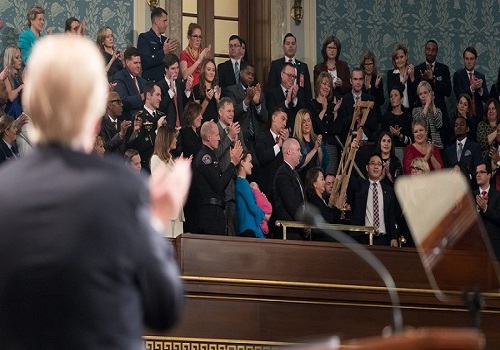 President Trump and the lawmakers give the military and law enforcement heartfelt applause during the SOTU. See video below. This occurred all during the Veterans Administration scandal in which a large number of America’s military veterans were treated to arguably the worst healthcare system in modern times. Many of them died waiting for medical services, while illegal immigrants were given emergency care, medical treatment, food, shelter and other big-ticket items. In fact, while the Democratic Party and a few Republicans shed tears over the plight of illegal aliens, not a tear is being shed for this nation’s honored dead or the sad existence suffered by homeless military veterans. The Democratic Party became unhinged upon hearing Trump was elected president. 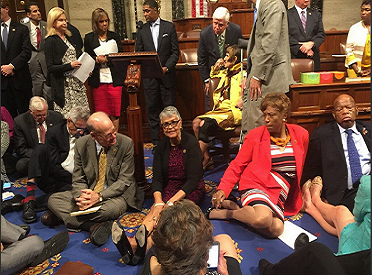 Here they are sitting on the floor of the Congress sulking. No. 1: Sanctuary cities breed disrespect for the rule of law. When the police, of all people, are told by politicians running the city to look the other way at illegal immigraton, what message does that send? If elected officials pretending to be leaders can turn their backs on laws they dislike, where does that “principle” stop? Are such leaders also free to disregard federal laws against heroin and LSD (for example), on the theory that drug penalties are too harsh and these drugs have “mind-expanding” qualities? And after the drug laws are tossed overboard, what next? No. 2: Sanctuary cites burden and endanger the police. In litigation being prepared to challenge the oldest of the sanctuary cities, Los Angeles, the attorney undertaking the case free of charge said that one of the reasons he offered his services was, as the L.A. Times reported, “‘to help out police officers so they don’t have to put their lives on the line repeatedly re-arresting drug offenders who should have been deported the first time.’” As the Times further noted, “One veteran LAPD officer, who spoke on condition of anonymity because of fear of punishment, said…that he [and other officers] thought the suit was a good idea….”‘We are having a revolving door out there in terms of people we arrest for drug offenses who are in this country illegally,’” he said. No. 3: Sanctuary cities promote crime and thus jeopardize our citizens. The Los Angeles Times recently reported on a mind-boggling 2005 study by the Government Accountability Office. The study examined the cases of over 55,000 illegal immigrants incarcerated in federal, state and local facilities. It found that they had been previously arrested an average of eight times each, that roughly half had been convicted of a felony, and a fifth had been arrested for a drug offense. Many had also been convicted of violent crimes. No. 4: Sanctuary cities impose costs on their residents — citizens and legal immigrants — that they shouldn’t have to bear. Tax dollars that ought properly to benefit the people who paid them go instead to underwrite hospital, police, prison and education services for those who are not entitled to be here in the first place. No. 5: Because sanctuary cities facilitate and encourage illegal immigration, they are unfair to legal immigrants, who waited in line, followed the rules and showed respect for the law. “Our citizens and legal immigrants deserve better than that — a good deal better. The paramount civil right is the right to live in one’s own neighborhood and community in peace and safety. Why do liberal organizations like the ACLU turn their back on that right to carry water for lawbreakers?” said an ACRU.